The Internet has emerged as a key technology for Al Qaeda and other jihadist movements waging their so-called electronic jihad across the Middle East and globally, with digital multiplier effects. This study will examine the evolving doctrine of “electronic jihad” and its impact on the radicalization of Muslims in Western diaspora communities The study describes Internet-based websites that served as online libraries and repositories for jihadist literature, as platforms for extremist preachers and as forums for radical discourse. 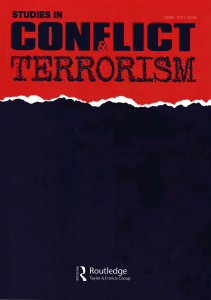 Furthermore, the study will then detail how Internet connectivity has come to play a more direct operational role for jihadi terrorist-related purposes, most notably for inciting prospective cadres to action; for recruiting jihadist operatives and fighters; for providing virtual training in tactical methods and manufacture of explosives; for terrorism financing; and for actual planning and preparations for specific terror attacks. Whereas contemporary jihadist militants may be shifting from the World Wide Web to social media, such as Facebook, YouTube, and Twitter for messaging and communications, nevertheless the Internet-based electronic jihad remains a significant catalyst for promoting jihadist activism and for facilitating terrorist operations.